It has a tighter and shorter pitched wobbling action compared to the 8A and efficiently gets down to the target zone. We have realized an easy retrieval feel for anglers whether reeling in fast or slow. 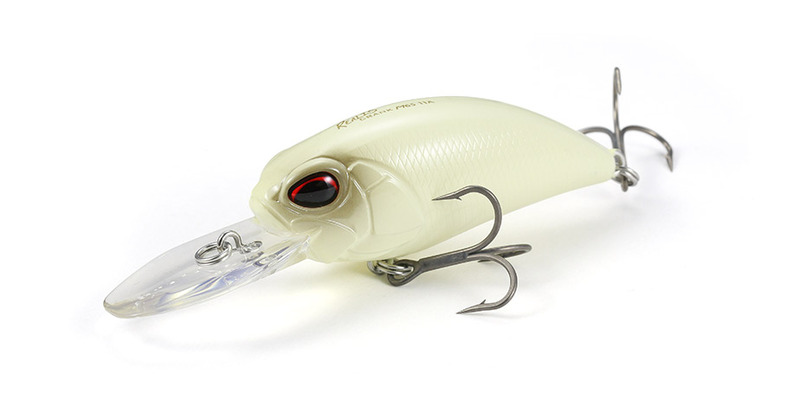 Its snag-less effect is also highly recognizable and the action recovery after bottom contact is brilliant. We have installed metallic plates which surround a steel ball in the rattle room at the front of the body. These two metallic materials produce a hard sound appealing to the bass in the vast area. the “sharpness” in its action, while responding to both slow to fast retrieval.